Once you have a baby, all of your attention goes to your newborn which can leave little time for yourself. In this series, Carrie Macy Samper shares how you can fit in a bit of movement so that you can lift your mood and keep your body going. She shares her experience of how doing a little bit of movement each day made a huge difference in her recovery after her second child. Thank you. Looking forward to these classes and jumping back in one month post party. I couldn’t have said it better myself. I watched this, curious to see if it would be appropriate for a friend (my own child is 7!) and I will be forwarding the link. I teared up with you Carrie. Your compassion and understanding of the struggles new moms face is so needed. 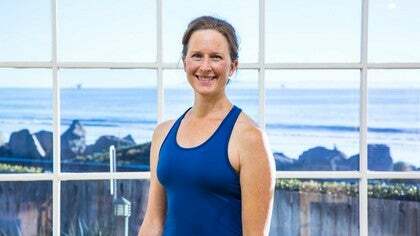 Pilates Anytime has been such a valuable resource for me as a mother, since my daughter was born it has been a way I could continue to stay strong when getting out to surf or go to the gym was just not an option.